Eva’s Updates – Page 4 – A journal of Eva’s battle with leukemia. Audra and I went through a pretty normal morning routine with Lily, Clara, and Theo—got dressed, had breakfast, brushed teeth, and loaded up in the minivan. The five of us drove down to Rady Children’s Hospital to get a visit with all the kids. Eva really loves to see her little brother and sister, but it’s hard to bring them down much because two-year-old twins don’t exactly like to sit still anywhere, let alone in a hospital room. Nevertheless, they did quite well this visit. They were excited to see Eva and said so by calling out her name excitedly. Eva got her “kiss kiss” and hug from each one before they became distracted with the Play-Doh that Eva was working with. Theo and Clara actually lasted a whole 30 minutes before we had to pack them up and go. I took the two of them back to Fallbrook while Audra, Lily, and Grandma Davis spent the rest of the morning and early afternoon with Eva. Grandma Davis reported that Eva had received her first blood transfusion overnight. Apparently during the transfusion, which lasts four hours, Eva had to use the restroom. As she sat on the potty she looked up at her IV pole and saw the big bag of blood and asked, “Are they taking blood out of me?” Grandma responded, “No, they’re putting blood into you.” Eva replied, “Is that good or bad?” Grandma answered, “It’s good.” Eva accepted the news with a casual, “OK” and then went back to bed. Audra spent time today working especially hard with Eva to coach her through her constipation. We’re happy to report that Eva has made good progress with that uncomfortable side effect. Suffice it to say things are working much better now. I’m thankful for how patiently Audra coaches Eva in difficult times. Eva opened more gifts. We have a back-log of gifts and bring a couple of them down each day to the hospital. She and Lily watched Netflix, colored, crafted, and took time to connect as sisters while Audra studied the home care manual. We are trying to take Eva home at the earliest available date, which is Monday, November 21. There are certain criteria that Eva must pass to be discharged, and her overall condition so far meets the requirements. She can take her pills, she has no fever, and she’s managing side effects very well. There are also certain criteria that parents must pass for Eva to be discharged. The nurses test us on our knowledge of the home care protocols that we will need to know to provide safe and attentive care to Eva in our home. For example, any temperature of 101º or higher is a fever and thus an emergency. Our main job is to monitor for signs of infection and react accordingly. I’m happy to report that Audra passed her test in the afternoon. Now I just have to take mine on Sunday and the parent side of things will be clear for a discharge. We ate something else instead and had a nice little time together. She took her pills and then bathed in the shower. She likes to take the hand-held shower head and spray me in the face with it. Her mood continues to fluctuate during the showers, but this time I got two face-sprays, which means she was having a fun time. She has requested that I bring a swimming suit so she can spray me even more, and I’m happy to oblige. By about 7:30pm Eva asked to go to bed. She hadn’t napped that day because of all the time spent with family, so her request wasn’t anything out of the ordinary. Pastor Aaron Boehm, the San Diego Circuit pastor, stopped by at 8pm to visit with me individually and then Audra and me together. We appreciated the chance to talk and hear further comfort from the Scripture we hold so dear. After the devotion I drove back home to Fallbrook while Audra spent the night with Eva. Heaven is my fatherland, / Heaven is my home. Eva clearly recognizes that the hospital is not her home. It’s a place she needs to be, but it’s not where she lives. The walls protect, but they are foreign. The food sustains, but it’s not homemade. The toys are hers, but the setting is not. We all want to go home, because it’s a better place. I must admit that I don’t often think of my true home as the one Jesus has promised. As I get into the routines and rituals of life, it becomes easy to think of this place as our true home. The truth is that routines and rituals, house and home are good gifts of God, but they are meant to direct our hearts to a greater home he has promised to give us. Eva’s illness has made us long to be home in Fallbrook, but more than that, is has driven us to the hope of our greater home. During the 40 days after Jesus rose from the dead to seal his victory over death he appeared to many eyewitnesses so that all generations would have the historical assurance that God himself became flesh and undid the curse of sin and death. But then Jesus ascended visibly to sit in power and authority in the heavenly realms, from where he now rules and guides the world toward its promised conclusion: when he returns to make a new heaven and a new earth, and restores our dead bodies to life everlasting. We are strangers here, yes, and we look forward to going home one day. But the home in which we will live forever won’t seem so strange. Each of these moments of embodied joy we taste today is a partial glimpse of our heavenly home. Heaven won’t just be a place where spirits float in the sky, it will be a place with gardens and a swing set, a warm fireplace and a place to eat. The people will have twinkling blue eyes and freckles on their noses, toothy grins and shoulders to hug. This morning felt like some of the darkness of the last week had passed. We’re ready to go home. I spent the night at the hospital on Thursday night into Friday morning. As I wrote yesterday, we expected that a blood transfusion would be likely overnight. I kept waking up throughout the night and checking the clock to see if the transfusion time had come, but I never saw them working on it. Turns out she didn’t need the transfusion just yet. The nurses told me that the doctors love it when the first transfusion is as late as possible, mainly because it makes the blood boost come closer to the date of discharge. Speaking of going home, the physician on rounds the last two days has spoken quite optimistically about the possibility of Eva going home on Monday already. Monday is Day 8 of induction and the first day that patients are generally eligible to return home. Since Eva’s labs continue to look good and her side effects are not devastating, going home next week is real possibility. We’d love to have her home before Thanksgiving, and we’d especially love to have her home before her birthday on the 27th. We’re cautious with our optimism, but at this rate we may be home early next week. I talked with Eva about going home today and explained what it takes to go home. She doesn’t groan, “I want to go home,” anymore, but that’s because she seems to have accepted that she is sick enough to require all the care they can give to her in the hospital. She knows she needs to stay as long as it takes, but is happy to think of going home now in terms of counting down the days. Audra came down in the morning very early to spend time with Eva. Once again Eva loved heading over to the play room and working on art projects. This girl loves to paint! She also had a craving for our favorite Italian sandwich shop in Fallbrook, Dominick’s Delicatessen. She started asking about it first thing in the morning. Instead I got her a sandwich at an Italian deli in San Diego. It wasn’t the same, but it was nice to see her smile at the nice change of pace from the hospital food. Her spirits remain good overall, in spite of the occasional mood swings. The moods usually come around tasks that she doesn’t want to do—like swallowing her pills. She can swallow them fine, she just doesn’t want to be bothered with it. We just calmly coach her through the process and wait for her grin after the pills are popped. The biggest challenge Eva is facing right now in terms of side effects is constipation, which is a common side effect of the vincristine drug that she received on Day 1. (She will receive more vincristine each Monday of induction for a total of four doses.) She’s quite frustrated by it, and there’s some level of discomfort involved. In spite of this, the doctors do not seem all too concerned about any one area of her reaction to the treatment. We’re staying the course and glad that side effects have been manageable overall. If Eva can get a little relief from the constipation soon then we’d have to admit she’s handling the chemotherapy as well as we could have reasonably hoped at this point. Grandma Davis is spending the night with Eva again this evening and into tomorrow morning. We scheduled a babysitter for the afternoon so that she could have some overlap time with Audra and me at the hospital. I used the time to study up for my “test.” One of the prerequisites for taking Eva home is that the parents be able to pass a test on the basic care instructions and protocols. Ask me sometime what the common indicators of infection are and I’ll tell you. After Audra and I left the hospital we stopped at one of our favorite places in San Diego to relax for an hour or so. We got a bite to eat and used the time alone to talk, decompress, and think through the coming days. I felt guilty about it at first. How could we take any time to enjoy a few moments when Eva and so many others need our attention? But I also know (and have been encouraged by friends and family) that we need to find a bit of time to ourselves to process everything. And that’s what we did. We explored the emotional impact of the last week. We remembered how we felt when we first started hearing bad words like “biopsy.” We took stock of how far we’ve come already. We marveled at the number of blessings we have received. What is that except the fear of death? How is that anything but the fear that our time is short? The fear we fear today is the same fear we’ve always feared, only magnified and intensified to the point where we finally realize we’ve been carrying that burden all along. Time to lighten the load. The Lord Jesus has already conquered death forever by bearing our sin in his divine body and swallowing death’s power forever in the yawning depths of his suffering. Eva is baptized into Christ’s resurrection, which means death cannot hold Eva—or any Christian—any more than it could hold Jesus. Therefore we do not fear that our time is short, in fact, we’re quite certain that we will miss nothing. We will enjoy to an infinite degree the good our Father wants us to enjoy together, in fact, we will enjoy more than we could ever scrounge up in a single lifetime. We don’t pray that God give us more time, because the Father has given us all time by the saving ministry of Jesus Christ. The concept of “forever” used to scare me. I found the thought of something that never ended to be a little unnerving. I think that changed for the first time in my life only five days ago. Now I can’t wait, because if these precious days are just a foretaste of the wedding supper of the Lamb, I’ll never want the real banquet to end. Last night and this morning Eva was tended to by Grandma Davis. By all accounts it went quite well. As I’ve mentioned previously, Rady Children’s Hospital in San Diego is an incredibly caring place. The hematology/oncology unit is about as happy as you could make a place that treats children with blood disorders and cancers. Eva showed off her pill-swallowing skills for Grandma, continued to conquer her distaste for sticky things on her skin, and enjoyed several trips to the fantastic play room here in the unit. Lily and I arrived at the hospital today at about 12:30pm to give Eva a little playtime with her big sister before Grandma Davis headed back to Fallbrook with Lily. Unfortunately the playtime wasn’t as nice as we had hoped. Eva has been suffering from constipation the last couple days and has been in some discomfort from it. She spent a lot of her time during Lily’s visit on the potty trying to go. There was a little success, followed by some more later in the day. I’m not certain she’s fully regular yet, but she’s getting there. It’s been tiring for her. In fact, she was so tired from trying to go that she asked to just rest in bed. This was actually a good thing since it was time for her pegaspargase dosage. The pegaspargase dosage takes an hour and requires a nurse to monitor the dosage for the first fifteen minutes. Allergic reaction is the most common side effect, so the nurses keep all the necessary drugs to counteract anaphylaxis in the room just in case. Once 15 minutes have passed it’s almost certain that there will be no allergic reaction. Eva made it through the whole dosage without any signs of allergy, so we are quite thankful for that. She used the hour to gather some strength so that once the dosage was over we could proceed with our day. I noticed today that the promised mood swings are beginning to appear. Her afternoon shower is usually one of her favorite parts of the day, but this one started out with full-blown, top-of-the-lungs screaming. Yet it ended with her asking for ten more minutes in the nice, warm water. The nurses and doctors have often said that while many expect things like nausea to be the most difficult of the treatment’s side effects, it’s actually the mood swings that cause everyone the most pain. We will need to exercise patience on a level we are not accustomed to. We also have to remember that even though she will say things that break our heart, it is the drug magnifying her frustration to such levels. We arranged for Audra to drive down here to spend a few hours with Eva tonight. She got here right about 6:30pm when Eva was having her pills. She swallowed them all again, but the mood about the process fluctuated wildly. They say this will get worse in the second week, too. We’ve got to brace ourselves. In spite of all these mood swings we still enjoyed a nice time together during the evening play room session. The three of us played a few games of Uno (Eva won them all fair and square) and did some painting projects. Playtime works wonders for suffering children, and we enjoyed the first chance for just the three of us to sit and try to be as normal as we could in the circumstances. I hope we get to play many more Uno games together in the future. We put Eva to bed at about 8:00pm and Audra left at 9:30pm. Now I’m wrapping up for the day. The doctors had suggested that Eva might need a blood transfusion last night, but her hemoglobin levels stayed high enough to avoid needing one just yet. I’m sleeping at the hospital tonight and the night nurse said I should expect that Eva will receive a blood product tonight. Transfusions are inevitable with leukemia, in fact, they are vital. The leukemia cells use up the marrow’s resources to produce healthy blood, and the chemotherapy drugs inhibit the marrow even more. Unlike many other kinds of cancer, blood cancer means many transfusions. The protocol at Rady Children’s is to handle blood transfusions overnight. While it might seem kind of strange to do it then, it seems to make good sense. The transfusion will probably start at midnight and lasts four hours. Two nurses administer the transfusion—any major process like this requires a cross-check between two sets of eyes. They also stay in the room for the first 15 minutes to watch for any allergic reaction. After that point they will just check vitals every hour during the four hours (as opposed to checking vitals every four to six hours or so). Eva may wake up for this, but she may also sleep through a lot of it. The darkness and grogginess helps obscure the obvious sight of a big bag of blood hanging on the IV pole, which could be upsetting to some children. The nurse said that we should expect Eva having a lot more energy tomorrow. The body usually reacts quite vigorously to its first reception of donor blood. We’re so thankful for people who give blood to save lives like Eva’s. With all this talk of blood, I can’t help but think of how blood plays a role in the salvation God planned and accomplished for us. People often wonder why there’s so much blood in the Bible, and rightfully so. The shedding of blood is everywhere in Scripture. Some conclude God must be a bloodthirsty monster or something. Others just chalk it up to the Bible being an old book from an old time. The real reason is relatively straightforward. Blood is life, and If sin costs life, then it costs blood. In the Old Testament it was the shed blood of goats and bulls that reminded the Israelites that their sin cost life, but that blood could not actually take away their sin. That blood covered them until there was better blood—blood that could remove sin for good. The marvel of blood in the Scripture is that God himself took on a human nature like ours so that he could shed his own blood to bring us life. In Jesus all the fullness of deity dwelt. He bled divine blood able to cover every sin and overturn the curse of death. He rose again that his blood now courses through his body forever and ever. His blood was the better blood. Blood brings life today; Jesus’ blood brings life forever. Day 3 of induction was a good day, all things considered. Eva woke early to go potty and couldn’t fall back asleep, but that is not terribly unusual even before her leukemia. I woke up with her and spent some time cuddling and watching shows on Netflix before the 6:30am pills came. Like the day before, Eva rocked at taking her pills. She was a bit apprehensive about whether she could repeat her performance, but she quickly learned that she could. We ordered breakfast and she ate quite heartily while we—you guessed it—watched some more Netflix. “Goldie and Bear” is her morning favorite right now. Eva spent the rest of the morning moving around the hospital room and playing. I was encouraged to see that her mood is quite good overall, and any side effects from the initial chemotherapy seem to be under control so far. A member of her team of physicians stopped by on rounds and let us know that so far there are no deviations from the standard plan of treatment. It was a sort of “no news is good news” kind of visit. In the afternoon Grandma Davis came to take a shift at the hospital. By that time Eva had asked to take a nap. I think this is the first afternoon nap she’s had in the hospital besides the drug-induced kind. We’re glad to have her sleep and let her body work at healing. During her nap the resident physician stopped by to get my consent for blood transfusions. They think she may need one tomorrow as some of her blood counts are starting to dip, which is normal. If she’s become anemic, for example, that would explain the need for a nap. 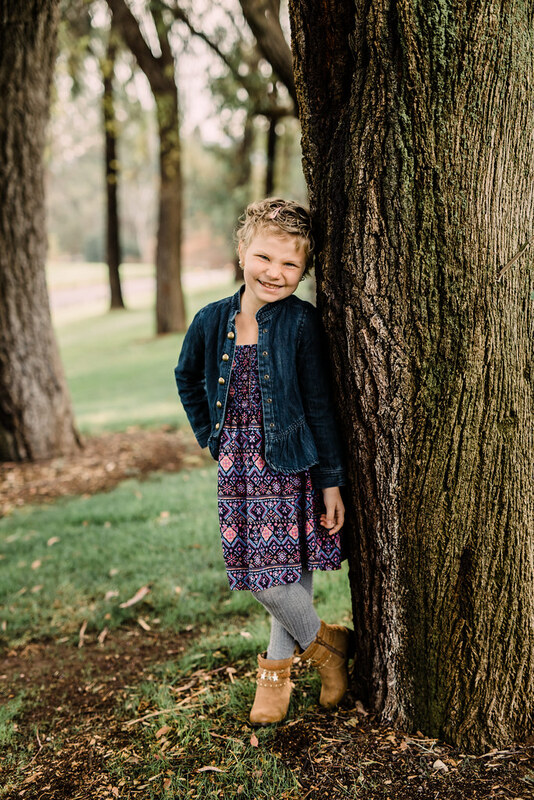 Transfusions are a normal part of treatment, and we are thankful for those who give blood so that people like Eva can receive the healthy blood they need during such treatments. Pray that any necessary transfusion go well. One small highlight of the day was the weekly bingo “tournament” in the unit. All the kids able and willing come to the play room to get a bingo board and play the game, while the kids who can’t participate via walkie-talkie. Everyone wins this bingo tournament and each child gets a prize from the prize cart. Eva got a bingo and picked a Disney princess doll (Belle from Beauty and the Beast, if you are curious). Of course, the hard part about the bingo tournament was seeing the other sick children in the room. Hard because I know each one is walking a difficult path. Hard because I felt like I had no emotion left to give to them. Hard because I saw in them an apparition of Eva’s future. Hard because Eva noticed she’s in a place with some very sick children. They have no hair. They look tired. Did she start to put two and two together? Or was I torn up because I’m still putting two and two together? Tomorrow is Day 4, and on the fourth day Eva will receive her first dose of pegaspargase. In addition to the common chemotherapy side effects like nausea, fatigue, etc. the most concerning potential side effect of pegaspargase is allergic reaction. The reaction could include anaphylaxis, which is one of those words with Greek roots obscuring a scary meaning: Eva could have difficult breathing and suffer severe swelling and rashes. We don’t expect the reaction, especially on the first dosage, but the doctors take all the necessary precautions just in case. This is the only time Eva will receive pegaspargase during the induction phase. Pegaspargase destroys cancer cells by depriving them of a chemical they need to survive but cannot produce on their own like a healthy cell can. Tonight neither Audra nor I are at the hospital. Grandma Davis is staying with Eva. Grandma Davis is a cancer survivor, and we are thankful that she can bring her experience and empathy to Eva. But tonight was also the first time since she was admitted to the hospital that we set the family table for five instead of six. That empty seat only added to the empty feeling of anguish. Psalm 31:9 says, “Be merciful to me, Lord, for I am in distress; my eyes grow weak with sorrow, my soul and body with grief.” We groan in our distress and our eyes stay puffy and red. We wake in the morning with limbs that feel as if they haven’t slept for days. Our Lord Jesus knows what we feel, in fact, he knows it more than we do. We are blessed that leukemia treatment is so effective today—it’s painful, yes, but we also know that full cure is the most likely outcome for Eva. Praise be to God. The condition afflicting Jesus, on the other hand, was the sin of every human being—for him there was no chance of survival. Death was to be his cup, and he drank it to the dregs. On the cross is where he died. While sin and death could put our Lord to death, it could not subdue the glory of his deity. With the price of sin fully satisfied, the curse itself was broken. Death could not hold Christ in the grave, and death cannot hold the Christian in the grave, for the Christian is buried with Christ in baptism and therefore rises with Christ to new life. Corruption was not the destiny of Jesus’ flesh, and corruption is not the destiny of Eva’s flesh. Eva lives in the cross of Christ. We live in the cross of Christ. This was true today, and it will remain true tomorrow. Day 2 of induction was Tuesday, November 16. Day 2 was about monitoring side effects and learning to take twice-daily oral medication. Lily and I arrived at Rady Children’s Hospital in San Diego at about 12:30pm to find Eva in generally good spirits. So far there have been no immediate or devastating side effects from her initial doses of chemotherapy. We keep hearing the word “resilient” to describe children who suffer from disease. We offer God thanks for Eva’s youthful resiliency and pray that it continues. On the agenda for Day 2 was another visit from Andie, the woman from the Child Life department. Andie happily explained some more about the medicine Eva is receiving and introduced her to the concept of swallowing pills. Eva and Lily each received a little cup of Nerds candy and practiced swallowing them whole. Eva did well with the practice candy, which led to a successful first try at swallowing pills later in the evening. Eva receives various medications twice a day—once at 6:30am and again at 6:30pm. These oral medications counteract the side effects of chemotherapy (for example, nausea). Another oral medication is a twice-daily dose of steroids. The steroids are a critical part of the cocktail of drugs Eva will receive during her induction treatment. They help to fight the leukemia cells and assist the body in coping with the whole process. The most notable side effects will be increased appetite and dramatic mood swings. So far Eva’s mood has been relatively stable, but she’s only in the second day. We are bracing ourselves for some angry words and actions from Eva in the coming weeks. She’ll be taking this twice-daily steroid every day for the entire 29-day induction period. Eva swallowed her pills like a champ. As with every new experience at the hospital, Eva was tremendously nervous about it. The nurses brought the pills, chopped the bigger ones into pieces, and handed them over to me for administration. I sat on the bed and coached Eva gently for about 15 minutes before we made our first attempt. She kept her mouth shut and covered it with her hand, but slowly she took her hand away for longer and longer moments, then she slowly opened her mouth for longer and longer moments, then she stuck her tongue out for longer and longer moments, until she finally said, “Ready,” stuck her tongue out, received her pill, and swallowed it whole. Oh, the smile and giggles! She was so excited, but she couldn’t jump around (she was in bed), so she kicked me and punched me a few times in laughter. I know when Eva is proud of herself, and she was intensely proud. The medical playtime really does help. She got to “pretend” to swallow pills first, which made it relatively easy for her to do the “real thing.” She also got to play with little bits and bobs that the nurses use to work on her port line, which led her to willingly help flush her own line. She’s slowly taking ownership of certain parts of her treatment. She even pretended to treat me for a “sore leg” like hers. Eva donned her mask and stethoscope and sat me down on the sleeper couch for my examination. She took a listen to my heart and pressed on my shin to ask if it hurt. Then she made me move my ankles in circles. Next she opened a few alcohol swabs and asked me to roll up my sleeve for my “poke.” She swabbed where an IV would go, paused and said, “When I was a kid, I had to have a poke, too. It hurt, but it was okay because my mom and dad were there with me.” She reached out, held my hand, and gave me my “poke.” In that moment she was doing both the poking and the comforting—and she herself said it was going to be okay. I broke down. Eva’s reenactment of her time in the hospital remembered the pain I could see, yet included the love I could not. Eva’s words to me were some of the most important words I’ve could have heard, and I relayed them to Audra. We parents feel utterly useless. We can’t make the cancer go away. We can’t remove Eva’s fears. We can’t absorb her pain for her or deal with her frustration on her behalf. And we have to keep on poking. In the worst moments it looks to us as if our love and support are doing nothing at all. Our eyes tell us one thing, but in that moment our ears heard the truth. Eva reminded us what it means to walk by faith and not by sight. In the midst of all the poking we enjoyed this moment Christian comfort because there was a moment in history when our God did both the poking and the comforting, when divine justice and divine love came together in one moment. When Jesus died on the cross he cried out, “My God, my God, why have you forsaken me?” In that moment the Son looked to the Father and saw his back, because the Son carried the price of our sin. We are rebels against God, so Jesus in his grace stood for punishment in our place and God’s just wrath against sin and death was satisfied in the Lord Jesus Christ. His own “poke” was our comfort. “By his wounds we are healed” (Isaiah 53:5). Jesus also demonstrated perfect faith in that moment. He knew that his Father would not “abandon him to the realm of the dead” nor let his “holy one see decay” (Psalm 16:10). He could not in that moment taste or see the beautiful reality hidden behind his suffering, but he had already tasted and seen the the Lord is good, that his Father could be trusted, that his Father could “make everything okay” with his presence once more. And in turn Jesus has given us the same faith as a gift by the water of baptism and word of promise. In our culture the word “faith” usually means something like “a vague sense of optimism,” but the way God talks about faith is different altogether. Faith isn’t just good vibes that things will work out, but genuine confidence that a more beautiful reality already exists. God has promised us in his Word that the beauty of his kingdom will come to all who put their trust in him. You see sin in force all around you, but your ears hear Jesus who says, “My Father was with me, so everything is going to be okay.” Your eyes see your weeping daughter, but your ears hear her say, “My father was with me, so I knew everything was going to be okay.” And you know it’s all true—every last bit of it. Nurses came by on the evening of Day 1 (November 14) to administer Eva’s first dose of chemotherapy drugs. Technically this was the second dose, the first having been administered during her surgery process, but this was the first time Audra was present for the dosage. The nurses wear gowns, high-cuff gloves, and facial protection when handling the intravenous bags—the stuff inside is dangerous, but not as dangerous as the cancer inside Eva’s bones. In California we have become familiar with wildfire. Once a wildfire has been kindled a certain amount of devastation is inevitable. Acres of chaparral will burn. The only reasonable option once the fire has begun is to contain it. Firefighters dig what are known as “control lines,” which are defensive lines where they have cleared a certain amount of vegetation either by hand or with heavy equipment. To stop the biggest wildfires, firefighters will intentionally kindle a “backburn” which consumes all the fuel between the control line and the oncoming blaze. Starting another fire is dangerous—sometimes the backburn backfires, but the tactic frequently stops the wildfire dead in its tracks. In the same way, we’re administering dangerous drugs with the potential for rare and serious side effects. The protective gear the nurses wear is another visible reminder of the danger lurking in Eva’s bones. Audra was the first to witness it. It’s a sight no caring mother wants to see, but we have to see it again and again. This is Eva’s path to from death to life. I wonder now what it would be like if we all had to wear protective gear when dealing with every effect of sin. What would we wear every day to protect us from the deadly effects of lying tongues and angry eyes? What equipment would we use to fight the toxic corruption of depression and addiction? What could possibly defend against the lethal contamination of fear and doubt? The truth is that nothing can protect us from sin because that danger comes from the inside, not outside. Our very nature is corrupt with sin. We need more than protective gear, we need cleansing blood. We need “the blood of Christ, who through the eternal Spirit offered himself unblemished to God,” to “cleanse our consciences from acts that lead to death, so that we may serve the living God” (Hebrews 9:14). Jesus’ unblemished blood shed on the cross has cleansed Eva from the guilt of sin forever. She needs no greater protection from its effects. She has already died in Christ and now lives in him. That blood has done the same for mom and dad. Now each day is one in which we will serve the living God who loved us, died for us, and rose again for us. Monday, November 14 was the first day of Eva’s “induction” phase of leukemia treatment. This is a 29-day period of aggressive chemotherapy that sets the stage for the likely demise of the disease in Eva’s bones. The first day includes a surgery to install a chest port. The port provides the safest and most efficient method of administering chemotherapy drugs, intravenous solutions, as well as drawing blood for labs. This means Eva won’t have to have daily “pokes” for blood or frequent wrist IV work. Surgery was scheduled for noon, so before that time a representative from the Child Life department, a kind woman named Andie, came and explained to Eva both the basics of her disease and the surgery she would undergo. She brought a big stuffed bone that zipped open to show the different kind of blood cells that live in our bones. Eva knows that some of the cells are sick and she needs lots of medicine to make them get better. Andie also walked Eva through the surgery process. She showed pictures of what it looks like to go down to the operating room and what the OR itself looks like. She also let Eva handle a real-life port. Child Life puts a lot of emphasis on interactive education for the children to know and understand what they are going through. They are such an asset for us as parents because they relieve the emotional burden of explaining just what’s going on here. When the education session was over, we took Eva to the play room on our floor. It’s this great room with all the best toys and games, not to mention crafts, which Eva loves. Eva did several paintings and a few games. We spent about an hour in the play room before heading back around the corner to our room to wait for the team to take Eva down to surgery. Eva’s mood was cloudy the whole day because she knew she had a “big test” coming. She doesn’t like the “sleeping medicine” and the process of administering it. The prospect of pain is very frightening to Eva. In fact, it seems to me that it’s the small, sharp pains that bug her more than the big, aching pains. The pain from the bone marrow biopsy in her back was pronounced, but she reacted more moderately to it. But if you take a band-aid off her skin she’ll just about scream. Of course, it didn’t help that she couldn’t eat or drink for 12 hours prior to the procedure either. That morning she woke at 5:00am to use the potty and couldn’t fall back asleep. I couldn’t quite tell, but I thought I heard her trying to comfort herself by whispering, “It’ll be OK.” I immediately got up from the sleeper couch and cuddled with Eva in bed while we watched the full moon set through our window. We talked about why the moon looked so yellow instead of white. We talked about being afraid and being in Jesus’ care—and how the two go together in a sense. You can’t comfort yourself, comfort must come on the lips of another. We tried to keep our attention on things besides our hungry bellies and scared feelings, so we fired up a movie (Ratatouille) on the iPad and watched together in bed. A tech came by to administer an ultrasound on Eva’s heart. Eva was mad about the ultrasound. She scolded her hungry, uncomfortable scowl the whole time and shed a fair amount of frustration tears. I shed some of my own as it dawned on me that this was the second time I got to see Eva’s heart on ultrasound. The ultrasound forms a baseline image of the heart in advance of the installation of the port. Anyway, the surgery went well. The nurses and doctors connected to the OR made everything as fun as they could. The anesthesiologist in particular had a way with kids. He tickled, joked, and generally made merry with everyone. I accompanied Eva to the OR as she rode piggy back on the anesthesiologist to the OR. All told, Eva was away from us for about two hours. We finally brought our groggy and very hungry girl back to the room and enjoyed some popsicles and water while the nurses (and we, too) inspected her new port. What a marvelous little invention. It’s going to save Eva a lot of sharp little pokes and pricks. Once Eva was settled back in, we began a consultation with Eva’s lead physician, Dr. Schiff. She walked us through the program of treatment that Eva will receive, along with the formidable list of side effects for each drug. Chemotherapy is such a hard thing—it’s fighting fire with fire, a necessary evil. I’m sure we’ll learn all about side-effects throughout the treatment. The team of doctors estimated that Eva has had leukemia for only a month or so. Labs indicated that 78% of the white blood cells in her marrow were cancerous. Normally when a child is finally diagnosed with leukemia that number is about 90%. We caught this leukemia a bit early, but with this kind of cancer an early warning doesn’t necessarily effect the outcome. Nevertheless less we’ll take the 12% advantage in cancerous cells to kill. The best news—truly great news—from the conference was that Eva’s spinal fluid results were as negative (in the positive medical sense) as they could be. In the human body there is what’s known as the “blood-brain barrier” which is named really well. God designed this biological system to separate circulating blood from the fluids of the central nervous system. Medical research into leukemia has shown that cancerous leukemia cells can sometimes transverse this barrier and find their way into the spinal fluid. The presence of these cells, if undetected and untreated, leads most commonly to recurrence of the cancer. Leukemia treatments in the not-too-distant past did not address the spinal fluid while the latest treatments do. We received the happy news that Eva had no evidence of leukemia cells in the spinal fluid. Had such cells been in her spinal fluid, she may have been reclassified as “high risk” or “very high risk” leukemia. For now she remains at “standard risk.” Her results were a clear “negative.” Dr. Schiff said, “We call this a ‘champagne tap.’” Oncologists say it’s cause to pop the cork on a bottle of champagne. We didn’t pop open a bottle of champagne, but—wow—did it ever feel good to hear some good news. Rays of light dispelled a bit of the gloom here in the valley of the shadow of death. While this good news doesn’t reverse the curse of this cancer, it’s the kind of good news that reminds us of the best good news we know, that in Jesus Christ the curse of death itself is eminently reversible, indeed, the curse has been reversed entirely. We walk through the valley of the shadow of death, but we walk knowing that the welcome taste of relief we felt on Monday will be magnified to eternal joy when death no longer haunts a single Christian ever again.